A Horror Flick You Can't Miss! With no new movies in sight for the weekend, audiences are kind of forced to turn to Hollywood for their weekend needs. With Vivegam scheduled for release next Thursday, almost the entire South Indian film industry has backed off from this weekend’s launch. Annabelle: Creation is the movie to go for this weekend, directed by David Sandberg, the man behind the popular Lights Out horror flick. 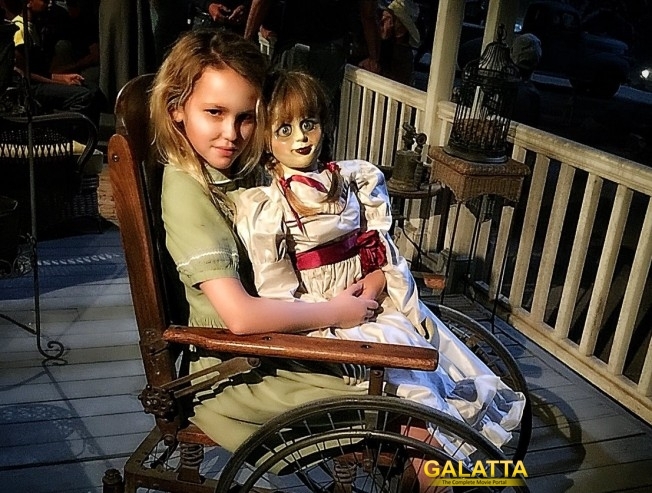 The storyline links Annabelle the doll with the Conjuring Universe and the other movies based on the possessed doll. Director James Wan is once again behind the script. The new horror flick in town has enough jump scares, spine chilling moments to keep you engaged throughout the run time. Even though, the script has a lot of logical issues, you would never mind it while watching the movie. Go watch Annabelle: Creation this weekend in theaters and you sure would love what the disturbing doll has to offer.